The complex reality of the site presented an opportunity to generate the conceptual basis of this project, which was the recuperation of the formal unity of the neighborhood by introducing a new transversal street that connects both sides, and extends into the hospital. 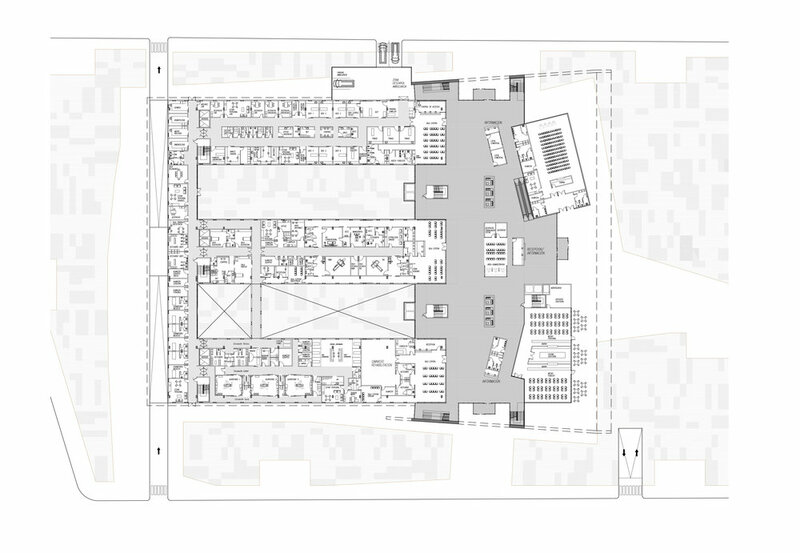 In section, the building is composed of two large compact volumesthat are interrelated and articulated by this multiple-height walkway, which distinguishes the hospital as a new urban landmark that provides services to the hospital as well as to the community. 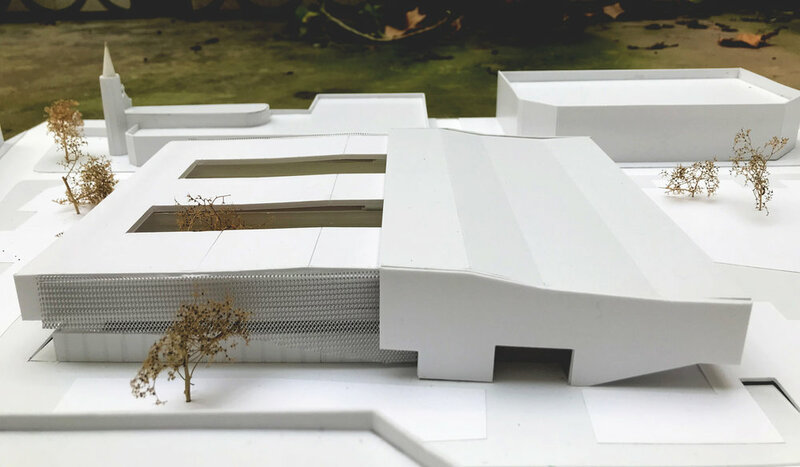 In order to humanize the hospital and allow it to be an integral part of the city, the architectural language emphasizes transparency and fluid circulation and the large park located adjacent to the front facade is easily accessible thanks to its proximity to the Avinguda Diagonal.